As its inaugural event, the McGill Food Analytics Club (McGill FAC) is hosting a food-focused data Hackathon. Join us on March 16th to show of your programming and analytics skills in teams of 2 to 4 people. You’ll be provided with a data set and asked to come up with your best statistical analyses and predictions. Students from all McGill faculties are encouraged to participate. If you don’t have a team, feel free to sign up and we will match you with other individual participants. The event is FREE and there are prizes to be won! 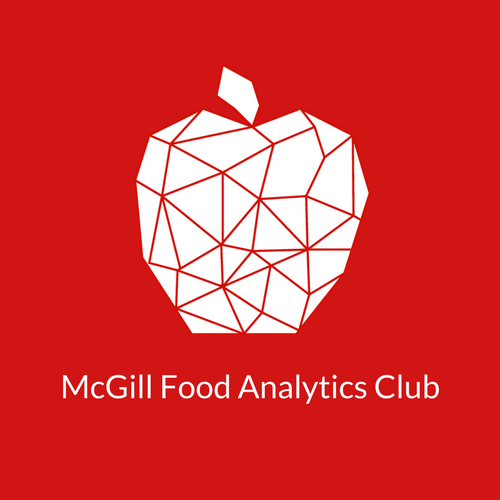 McGill FAC is a student-driven data analytics club that focuses on food. As the world is heading towards a massive food crisis the next decade, there is an urgent need to come up with solutions. Inspired and supported by Desautels Professor Juan Camilo Serpa, we want to contribute to solving this food crisis with data analytics. This includes research, coding, outreach, and more!